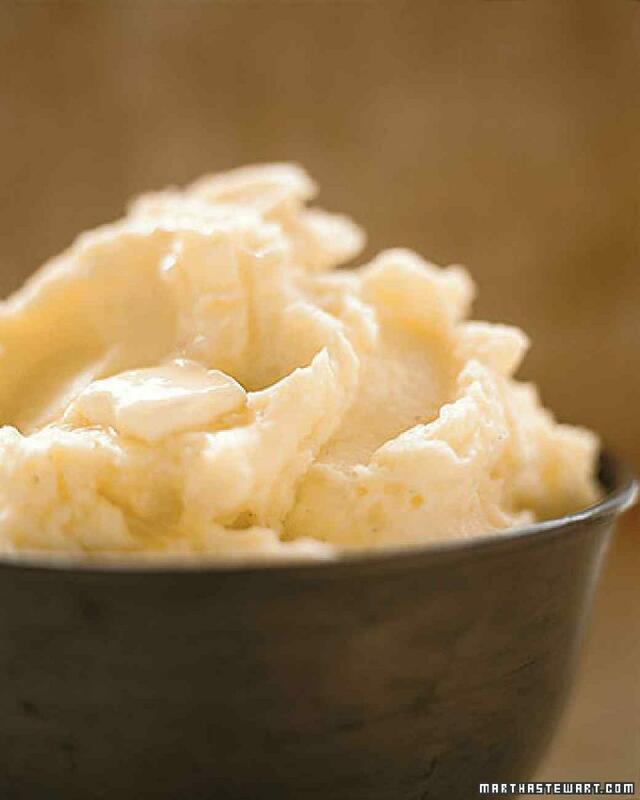 Instant potatoes from the box can’t compare to these perfect homemade mashed potatoes. For stiffer mashed potatoes, use only three-fourths cup milk or cream; for richer potatoes, add another two tablespoons butter. Peel and cut potatoes into 1 1/2-inch-thick slices. Place in a medium saucepan. Cover with cold water; add 1 tablespoon salt. bring to a simmer. If using a potato ricer, fill another saucepan with water; place over low heat. Keep potatoes at a low simmer until a knife slips in and out easily. Drain potatoes in a colander. Place milk in a small saucepan over medium-high heat. If using an electric mixer with paddle attachment, proceed to Step 4. If using a potato ricer, place a heat-proof bowl or top of a double boiler over a pan of simmering water. Press hot, drained potatoes through ricer into bowl. For the electric-mixer method, transfer hot, drained potatoes to bowl of an electric mixer fitted with the paddle attachment. Mix on medium-low speed, until most lumps have disappeared, about 1 minute. Add butter; mix until blended. On low speed, add hot milk in a slow stream, then add pepper, nutmeg, and salt to taste. Mix to combine.